Target is coming to the rescue with their brilliant revamped baby wear range, now including new Australian organic cotton products for our littlest people. Full of awesome prints, not only is the fit amazing, each piece of the collection is super friendly to the budget! Target has always offered fantastic value for money and their organic cotton collection is no exception. Mix and match baby’s basics to your heart’s delight with their comfy offerings of Baby Organic Cotton Tees and Baby Organic Cotton Pants – all at just $5 a piece. The two-way zip Baby Stretch Coverall, $10, is set to make nappy changes a breeze and the handy fold over mittens is sure to save faces from being scratched. Made using fabric with just the right amount of stretch, Target’s Baby Stretch Coverall is great for crawlers. 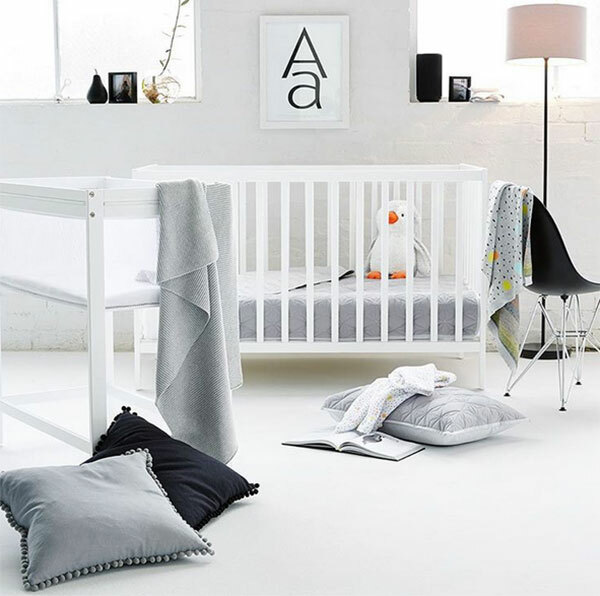 Target has extended their revamp to a refresh of the baby nursery line and we’re astounded by the fabulousness found here. A two pack of printed fitted cot sheets is priced just $12 and the all essential, all versatile muslin wraps that every parent needs – they too are just $15 for three! Target’s baby range fits kids sized from newborn to size two and is available in store nationwide or at Target online.